Home / home / How can a dating site help you find someone to spend your life with? How can a dating site help you find someone to spend your life with? With the rise of science and technology, a lot of things are getting liberated for the common good and to give benefits to a lot of people from around the globe. With the internet, information and communication are now just a click away and we are even getting closer to the world because of such innovation. One of the benefits of having the internet in our modern day world are the dating sites that are now becoming widely popular. These dating sites usually offer a free membership so don't worry about being scammed. If you're on a tight budget but want to have some fun online, no need to worry as most dating sites don't require you to shell out a lot of money from your pocket. In this fast-paced world, the society is giving us somewhat a hard time looking for true friendship. People spend much time in their work or career and spend less on the personal matters of their life, which is why if a thing can be done online, we grab it cause that's what makes us comfortable. Anything that can be done with the tip of our fingers, at the comfort of the home is a big consolation after our ever tiring days. People love anything online which is why these adult dating sites become prevalent and are now gaining positive results than how most people perceived it in the past. Today these adult dating sites are helpful to those who are not able to go out to seek and meet someone for companionship. They become an essential bridge to people of every ability level the opportunity to make friends and to possibly create lasting romantic attachments. Everybody deserves to be happy anyway, so why should we limit their happiness to just a personal meeting? Online dating can help to eliminate social anxiety by allowing initial meetings to take place in a virtual space. Members need not worry about how the outside world perceives them, and online interactions remove the looks and stares that come from unsupportive onlookers. Through dating sites, people are unlikely to be judged based on appearances, making it easier for everyone to relax and speak freely. People nowadays are not just after someone who's good looking and filthy rich. There are a lot of people online who are serious in meeting someone who is nice to talk with and who can give them a lot of inspiration in life rather just a few moments of lust or laughter. Online dating is also an easy way to find a romantic partner you're compatible with. The more people you're exposed to, the more likely you are to find someone to spend a meaningful and stable relationship. The role of online dating sites has changed a lot. It is no longer for short time fun but for marital affair and a more serious and lasting relationship. 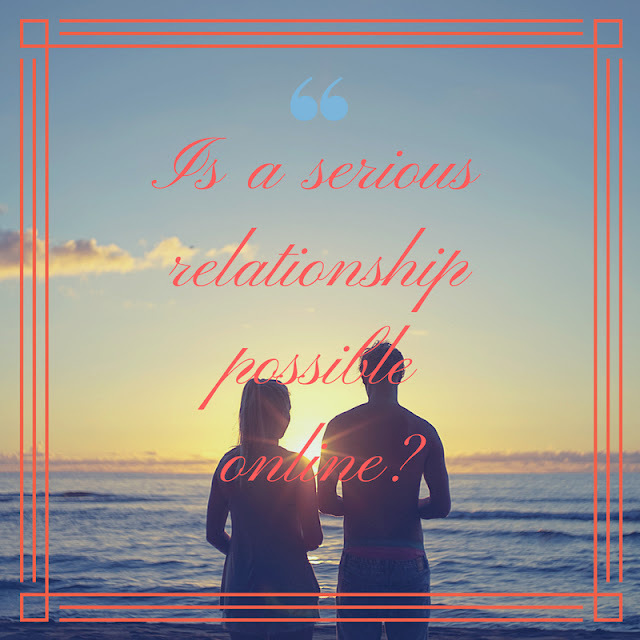 A lot of researches proved that partners who meet online are more likely to be compatible than those who meet in person. Also, studies showed that most marriages which start online are stronger and last longer than relationships that start offline.